Open enrollment for the Personalized Learning Program begins April 11, 2019 and ends on May 3, 2019. If necessary, a public random drawing will be held on May 20, 2019. To apply, please complete and submit a Personalized Learning Program application, student original birth certificate, and parent/guardian proof of residence. Please hand deliver applications directly to the MATES office. Applications Will Not Be Accepted By Mail. 5. Room rental or shared living requires a letter from the homeowner & utility bills plus a completed MATES Address Verification Form. Address Verification forms can be found at the MATES front office. Additional supporting documents may be requested. 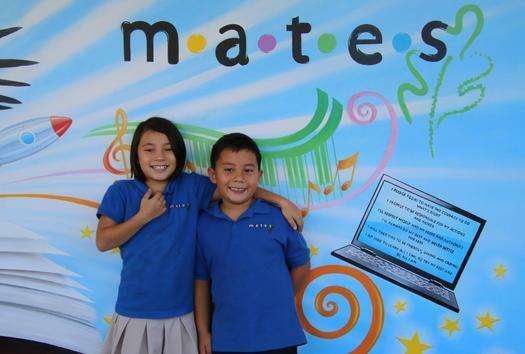 MATES is nonsectarian in its programs, admission policies, and all other operations. MATES is open to all students regardless of race, ethnicity, national origin, religion, gender, sexual orientation, perceived sexual orientation, home language, or disability. MATES shall admit all pupils who wish to attend the school up to capacity. Following the open enrollment period, applications are counted to determine if the Personalized Learning Program exceeds capacity. In the event that there are more applications than positions, MATES will hold a public random drawing to determine enrollment. Students will be admitted at the time of the public random drawing according to preference group as space permits. If there is insufficient capacity to fully enroll a specific preference group in its entirety, a random drawing of the applicants within the preference group will be performed to determine which applicants within that group will be offered enrollment. Applicants not offered admission due to insufficient capacity will be given the option to put their name on a wait list, in order, according to their draw in the lottery. Applicants who complete the enrollment process after the open enrollment period are considered post-lottery applicants and will be offered enrollment only after all wait listed applicants from the open enrollment period have been exhausted and on a first come first serve basis. The wait list will remain active until the close of open enrollment for the following school year at which time no further students will be enrolled. Wait listed applicants may then re-apply for the following year.